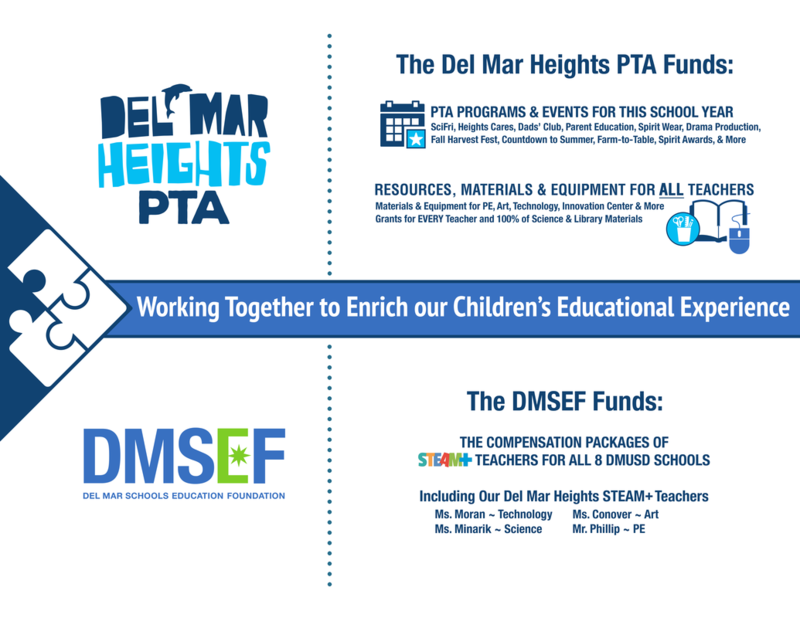 What’s the difference between the Del Mar Heights PTA and the Del Mar Schools Education Foundation (DMSEF)? Why should I give money to both the PTA and the DMSEF? We like to explain the difference by saying that the PTA pays for the microscopes and the DMSEF pays for the science teacher. ​We need both to succeed. Questions? Please contact PTA President, Mireille Barnard.